Chelsea vs Slavia Praha predictions for Thursday’s Europa League fixture at Stamford Bridge. Can the visitors turn it around after losing by a goal to nil on home soil? Continue reading below for all our free tips and predictions. It wasn’t pretty, nor was it easy, but Chelsea got the job done in the first leg, as they both won the game and kept a clean sheet. Having scored an away-goal, the Blues will be looking to finish the job off now back in front of their own fans. They’ll also be looking to get over the disappointment of losing at Anfield on Sunday afternoon. In the end, Chelsea’s extra quality did make the difference last week, though Maurizio Sarri’s men weren’t overly convincing. Defensively, as they conceded just three shots on target and surrendered only 0.57 expected goals, they kept things tight, but their efforts going the other way were somewhat lacklustre, as they recorded just two shots on target and clocked just 0.7 expected goals for. Chelsea to Win, Barkley to score, 2+ Slavia Cards and Over 5.5 Chelsea corners. If they’re to see the job through without any cause for concern, then Chelsea will need to up the ante in this second leg. Fortunately, the Blues have generally performed better at home than they have on their travels in this competition. At home in the Europa League this season, Chelsea average 2.8 goals for and just 0.2 against, while they also boast an average expected goal difference of +1.42. Similarly, Slavia have done better at home than they have on the road in this competition, so the visitors may not be feeling to confident. That said, they did hold Sevilla to a draw away from home during the previous round, while they’ll not be discouraged by their performance last time out, that’s for sure. In general, Slavia have held their own in the Europa League this season, though their efforts in Seville during the last round suggest that they could struggle at Stamford Bridge on Thursday. Against Sevilla, Jindřich Trpišovský’s men may have got a 2-2 draw, though they created very little posting just 0.61 expected goals for, while they gave plenty away, shipping 2.58, surrendering 16 shots, seven of which hit the target. If we consider Slavia’s efforts in Seville in conjunction Chelsea’s previous efforts at home in the Europa League, then it becomes easy to envisage the hosts doing well in this fixture. In the betting, ‘Chelsea to Win to Nil’ stands out as the best option. Despite not being overly outclassed in the first leg, Slavia offered little going forward, as they posted just 0.57 expected goals for. They also posted just 0.61 away against Sevilla in the previous round. 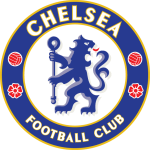 Moreover, Chelsea have done an excellent job of both beating teams and keeping them at bay at this venue, as they’ve kept a clean sheet in four of their five home Europa League matches this season. All in all, backing the Blues, who’ve surrendered an average of just 0.38 expected goals for at home in the UEL, to come out on top without conceding is the way to go.